This fine vehicle claims to belong to a company called Hookers Cranes. Good on them that they don’t let any kind of stigma attached to their founder’s name affect them in any way. 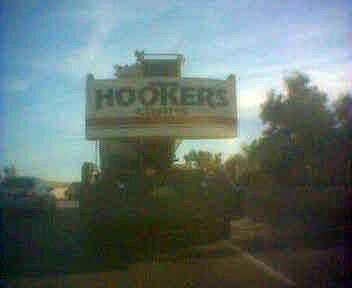 Stay proud, drivers of Hookers Cranes! And no, the camera in my T610 is indeed not quite the latest word in optics.